It is undisputed that Mary is regarded as the mother of Jesus. What is disputed at times is the honor that is due to her, including that coming from her Immaculate Conception. 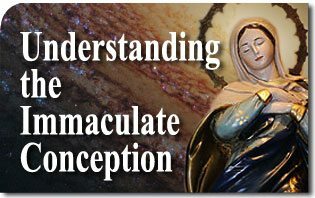 For the feast of the Immaculate Conception, it seems proper then to offer a guide to understanding why the Blessed Virgin Mary was given this particular gift. At first glance, it may seem not much is revealed in the Scriptures about Mary being conceived without Original Sin. To the contrary, much has been revealed. Perhaps the best way to begin is to deduce what criteria God would use to create His own mother. This can be found in Scriptures in which the Psalms give us the first guideline. “You made all of the delicate, inner parts of my body and knit me together in my mother’s womb.” (Psalm 139: 13) This shows that God participates intimately in our own creation. If this is so, then how much more with His own mother? What characteristics would He give her? What gifts would He shower her with? What honors would He bestow upon her? There is a treasure trove of information in the Scriptures that indicate what the perfect mother would be. Proverbs give a detailed definition in the most lyrical way. These proverbial indications are those of King Lemuel presumably about his mother. It is notable that this list of qualities are of the spiritual and moral kind. Nothing in this list is mediocre. This is how a good king properly honors his mother, by attributing the best qualities to her. It is obvious that Jesus honored His parents. To think otherwise is irreverent. What son doesn’t feel more offended when insults are thrown at his own mothers than at himself ? And, in juxtaposition, what son doesn’t feel honored and loved when his own mother is honored and loved? Jesus possessed all the good virtues of the perfect son to the divine degree, and most definitely more than King Lemuel. He created His own mother with divine care and gifted her proportionally, more than King Lemuel’s mother. Can God the Son imagine a more perfect mother than the one who the Bible says will be blessed among all women and of whom all generations shall call blessed? Can God the Father create a woman more special than the one He prophesied in the book of Genesis which says a woman will crush the head of the serpent, and thus have the honor of being God’s champion? Can God the Holy Ghost honor a woman any more than picking her to be His spouse? None of these gratuitous honors are mediocre, but rather they are the most sublime of all honors. With this same guideline, we can defend that Our Lady was given the gift of being conceived without Original Sin. Since Eve was created without sin, how could Jesus deny this gift to His own mother as well? One of the most convincing line of arguments that defended the Dogma of the Immaculate Conception was potuit, decuit ergo fecit (God could do it. It was fitting that He did it. And so He did it). Indeed, if she was born with Orginal Sin, she would not have excelled above all women. Though it is never disputed that Mary is the mother of Jesus, it seems always disrespectful to Jesus and His mother that the highest honors among all women and among all mothers are not given to her, especially when God clearly gifted her exceedingly much. So, did God create His own mother? Did He create her as perfectly as possible? The previous arguments should be sufficient to answer these questions. But, perhaps, one last argument can put it to rest. Of the many gifts God could give her, that of divine motherhood is the most excellent. Motherhood is a form of perfection in itself. However, Divine motherhood is the height of that perfection. No gift God could ever grant any woman can surpass this. Aptly did the Angel Grabriel proclaim to her, “Hail, full of grace. The Lord is with thee,” and “…has found favor in thee,” and that she “shall be blessed among all women.” Aptly do the Proverbs apply to her; “Many women do noble things, but you surpass them all.” Indeed, even at the very instance of her Immaculate Conception, the Blessed Virgin Mary surpassed them all. 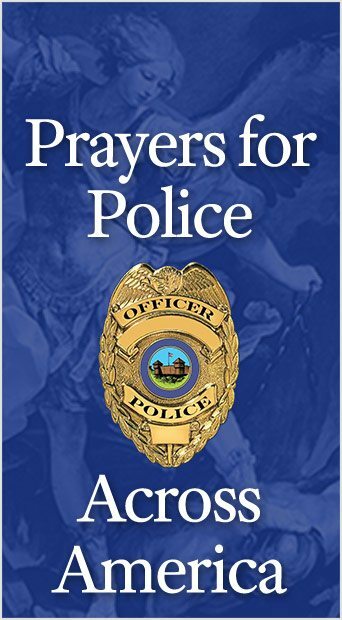 This entry was posted in About Our Lady by Rex Teodosio. Bookmark the permalink.